This title will be auto-delivered to your Kindle on 3 May 2019. 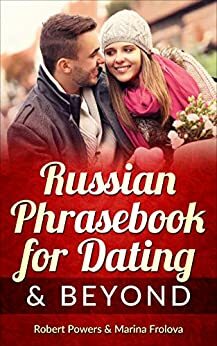 The phrasebook, English to Russian, is organized like a dictionary, with phrases and terms grouped under the key word(s) that they contain. English phonetic pronunciation is included in blue font. The key words are red, preceded by a tiny x for use in searching to avoid mass results for a word. The 804 pages of the phrasebook were compiled 6" X 8" (15 cm x 20 cm), just slightly larger than a Kindle Fire 8 page. The book contains 14 appendices, covering Russian alphabet & pronunciation, Russian grammar, ordinal & cardinal numbers, calendar & clock time, metric measurements, adult heights & weights, clothing sizes, an English-Russian food glossary, terms of endearment, polite & familiar "you", customs & traditions, and holidays & special occasions.